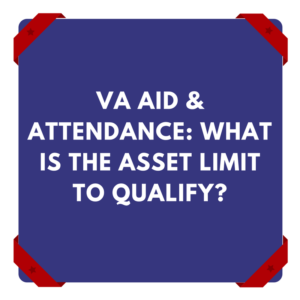 Va Aid & Attendance: How Much Assets Can I Have And Still Qualify? 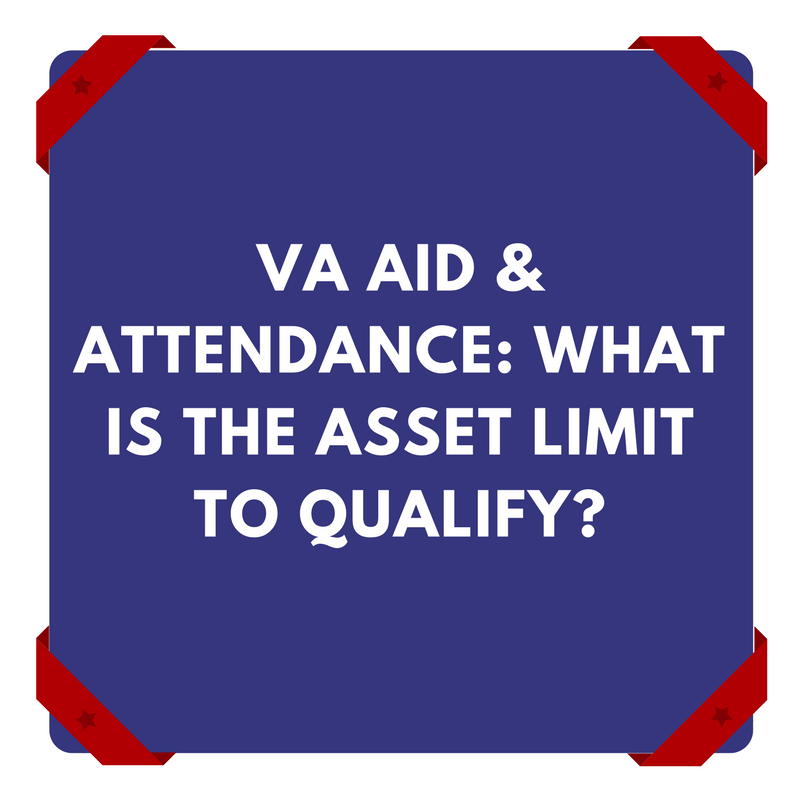 VA Aid & Attendance (Pension): What Is The Asset Limit To Qualify? One of the two financial requirements to qualify for the VA Pension (Aid & Attendance) is the “asset” or “net worth” limit and that’s what we want to talk about in this article. The VA Pension is one part of a strategy to consider when looking at how we can pay for a family member’s long term care. 5. Your vehicle (regardless of value). Note this differs from how Medicaid looks at your assets (as a practical matter). In many ways the tests for eligibility for VA benefits and Medicaid benefits are quite different so we have to make sure we don’t get them confused. Many families have been led astray by assuming the rules for Medicaid and VA are the same — they are not. What about the $80,000 or $40,000 “rule” of the VA? When we chat with families that have even heard of this Va benefit (which is rare), the one thing the family has heard is that the “non exempt” assets that a married couple is limited to $80,000 and a single person is limited to $40,000. Many families will lose their way by believing this is the rule. If so, then the asset test will likely be passed. But if assets will be “left over” then often the claim is denied. The regulations do say if you have over $80,000 in net worth, a special report must be written to justify. So as a practical matter the safe bet is this will not be done by a VA employee who is overworked — you are asking them to go out of their way and stick their neck out for you — it is just not going to happen. The bottom line is you need to have a low net worth because otherwise you give the VA an excuse to deny an otherwise valid claim. The best practice is to look at cash flow and leave enough money to last for about 12-24 months and we also need to look at Medicaid planning. For most veterans and their spouses, we are looking to get the “non exempt” assets down to around $20,000 to $40,000. Getting the assets lower also protects the veteran and spouse from fraudulent activities in the next 12-24 months even if they are of sound mind right now. We see a lot of elder abuse and financial fraud so it can be helpful to make the veteran less vulnerable to this if there are trustworthy people to transfer the assets to or to use the proper type of trust to hold the assets and the trustworthy folks can be the “trustees” of the trust. How do we lower the assets? Do keep in mind that any transfers can have serious consequences with Alabama Medicaid — this doesn’t mean transfers are wrong (the VA has no penalty on transfers as of yet but a bill is in Congress to put a penalty on transfers) but it does mean that you have to make decisions with your “eyes wide open” so you know the advantages and the consequences. You can read about “pension poachers” who prey upon veterans and often cause enormous problems with Alabama Medicaid. What are the paths we can take? What are the advantages and disadvantages of each path? This is what we mean when we say that families need a “Roadmap” to navigate between the VA and Medicaid. If you or your family member lives in Alabama we will be glad to help you. We will be glad to get back with you within the day.